Barack Obama a Darmstadt fan? USMNT international Terrence Boyd has personally invited Barack Obama to SV Darmstadt 98's Jonathan-Heimes-Stadion am Böllenfalltor, after it was discovered that the Lilies are the only European team the former U.S. President follows on Twitter. Make Terrence Boyd your primary Official Fantasy Bundesliga candidate in time for Matchday 21 here! 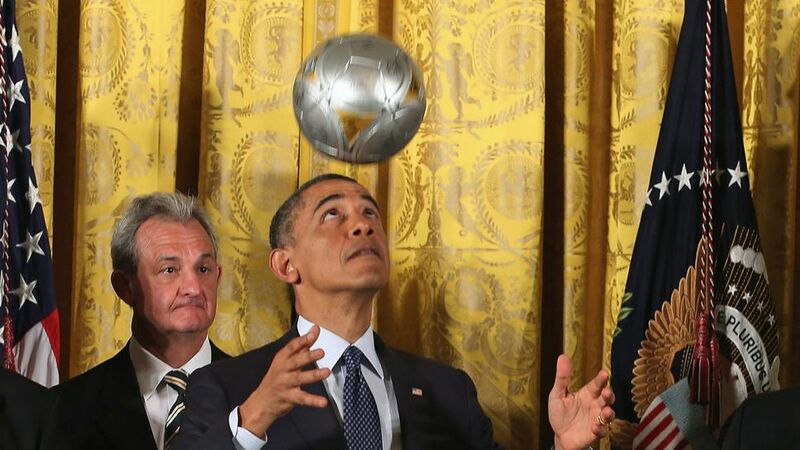 Obama, whose eight-year presidency came to an end on 20 January 2017, is not the first U.S. politician to have his imagination captured by the Bundesliga. Earlier this season, former Governor of California Arnold Schwarzenegger attended FC Bayern München's 1-1 draw with 1. FC Köln at the Allianz Arena. Former United States Secretary of State Henry Kissinger, meanwhile, kept his promise to go and see hometown club SpVgg Greuther Fürth in action should they ever gain promotion to the Bundesliga, back in September 2012. Click here for more SV Darmstadt 98 club news!